Sakura Kiss: I want: Pink hair! 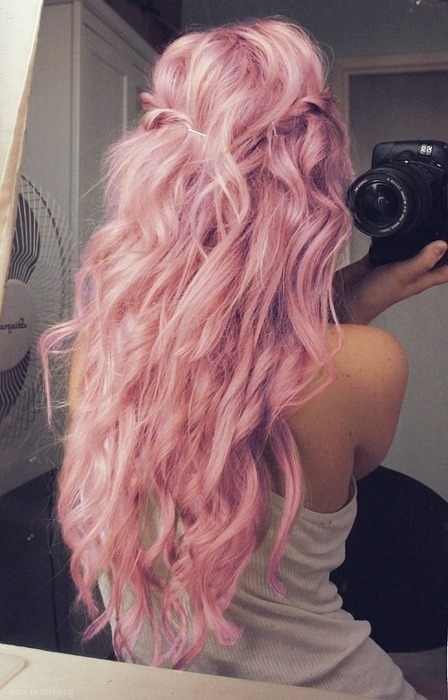 Today I felt an instant urge to color my hair light pink. I'm not sure why, I've thought of it a long time, but today I had some sort of vision of myself with gorgeous, candy floss pink hair. Even when I thought of all the bad points, such as bleach and re-growth, it still felt like a good idea! My mother sounded a bit skeptical when I told her over the phone, and she asked if I could wait until my light pink wig arrive so I can try the color on first. I guess she's not that spontaneous. By the way, I just remembered that we have a whole day English test tomorrow. Not that I'm so bad in English, but there are some texts we have to read on forehand in order to do the tasks. I just found out that these texts are 16 pages all together. It's about time to start reading them, huh? I guess I'll never change. What hair dye did you use? Do you have any suggestion of hair dyes ??? Anyway, as for tips I would say always make a professional do it! I have rather long hair, and I don't want to just chop it off if it goes wrong. Of course, not all salons are good at dying hair in extreme colors (or dying hair at all...), so the best would be to do some background research first. 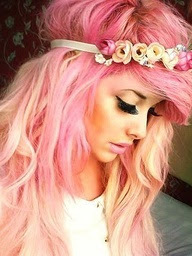 If the hairdresser reacts: "OMG, YOU WANT TO DYE IT PINK?? ", then that's a no. Thanks for your comment and sorry I couldn't be of more help!